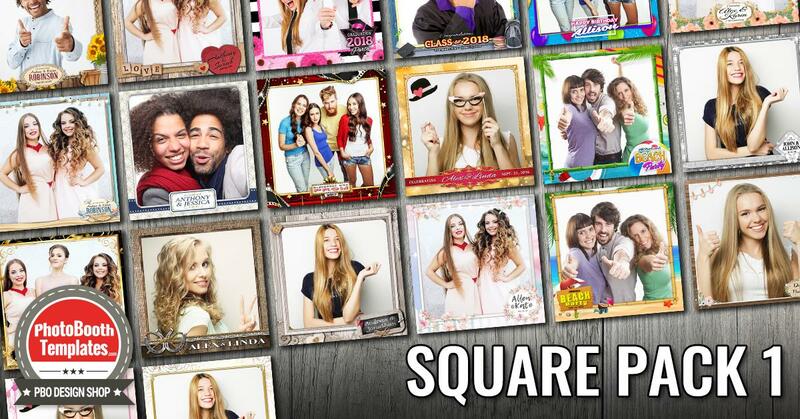 The Square Pack 1 bundle includes 20 premium square templates for use in your photo booth. This pack offers a wide variety of themes helping you to kick start your square offerings for all sorts of events! With each template you can modify the colors within the PSD through provided hue/saturation layer. For more information on how this is done please watch the Modifying Template Colors video from our YouTube channel. This photo booth template can be modified using Photoshop CS2+ and Photoshop Elements10+. Hurry today and get this pack for only $99 (83% off regular pricing of these 20 templates)!